9th Dan Grand Master Young Il Kong and Young Bo Kong both founded Young Brothers Tae Kwon-Do Associates in 1968. The two brothers opened their first martial arts school in Pottstown, Pennsylvania under the name Young Brothers Tae Kwon-Do. Grand Master Young Il Kong is the member of the “Original Masters of Tae Kwon-Do”, which is a group of twelve South Korean martial art masters assembled by the Korean Taekwon-Do Association (KTA) in the early 1960s to promote the newly established art of Tae Kwon-Do. Grand Master Young Bo Kong participated in a demonstration team lead by General Choi, who is the “Father of Tae Kwon-Do” and traveled to 127 countries to introduce the world to Tae Kwon-Do more than 30 years ago. 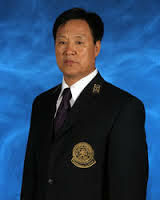 Grand Master Young Il Kong also assisted General Choi with the design of the International Tae Kwon-Do Federation patterns that is used today by many Tae Kwon-Do schools, include Young Brothers Tae Kwon-Do. A first-generation student of General Choi, Hong Hi, the Father of Tae Kwon-Do, Grand Master Kong, Young Il’s Tae Kwon-Do roots are in the Oh Do Kwan in Won Joo, Korea. Today, fifty-four years later, Grand Master Kong, Young Il teaches the martial art of Tae Kwon-Do with the same approaches and rigor he learned from the Father of Tae Kwon-Do and perfected through continuous practice of the art. Grand Master Kong, Young Il is steadfastly focused on promoting Tae kwon-Do and General Choi’s legacy. 1994 – Became the 39th Inductee to the All-American Black Belt Hall of Fame. 1997 – Promoted to 9th Degree Black Belt by General Choi, Hong Hi in Poland. 2003 – Co-founded the International Ch’Ang-Hon Tae Kwon-Do Federation. 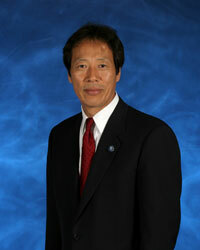 2006 – Assumed the role of President of the World Tae Kwon-Do Alliance. 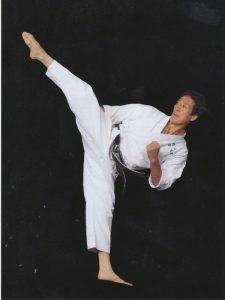 Born in 1953, Grandmaster Young Bo Kong, a 9th degree Black Belt, began his Tae Kwon-Do training in Korea at age five. As a young man in the United States he trained competitively under the instruction of his older brother, Grandmaster Young Il Kong, and Grandmaster Park Bu Kwang. Both were legendary fighters while living in Korea. Using the superior techniques they taught, Grandmaster Young Bo Kong won the Pan American Championship’s Grand Champion in 1973. He then became the first ITF middleweight champion in Montreal, Canada in 1974. At that first ITF World Championship competition, he came in second place in the pattern division and won another gold medal in breaking to become the first overall ITF Grand Champion. Grandmaster Young Bo Kong also won the North American Championship’s Grand Champion in 1976. Grandmaster Young Bo Kong’s unique style was built upon unmatched speed and the skillful strategy learned from his mentors. He was the fastest kicker alive and is unrivaled in his ability to read his opponents intentions and set them up for effective attacks. Grandmaster Young Bo Kong is currently president of Young Brothers Institute on the East Coast and continues to train students. As an instructor, he has produced many champions including All American Champions, Olympic Team members, National Champions, State Champions and many more. He actively teaches and trains at his Pittsburgh, Pennsylvania dojang and has opened nine other satellite schools in the area. Grandmaster Young Bo Kong has been introducing the martial arts to children and adults for the past 34 years and has produced over 3000 black belts. White belts are given, but black belts are earned.